I’m especially proud of how that middle panel turned out. Note the Death Egg, Angel Island, Perfect Chaos, and Crisis City in the background. 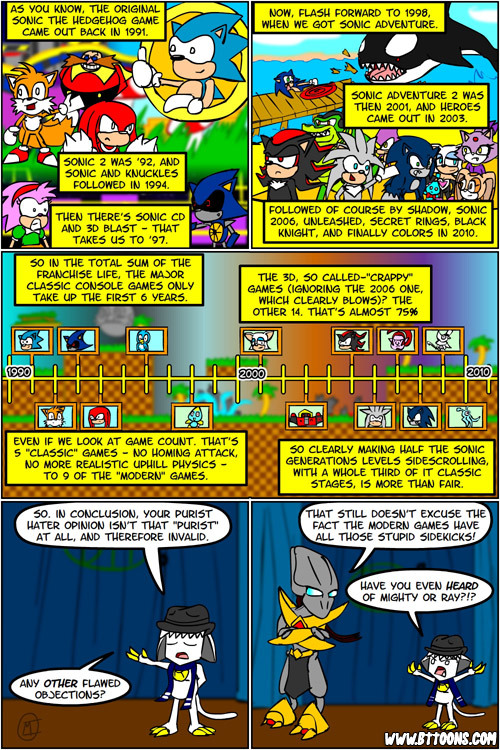 But yeah – this comic is basically my response to everyone who hates on Sonic Generations for irrational reasons. Sadly, as we all know, the Internet attempts to be immune to logic. Also, I will concede that my argument omits all the handheld sidescroller games of late, like Sonic Rush or even the Game Gear games. But I specifically said “CONSOLE” games – if anything the 3DS version should be honoring those sidescrollers (which it doesn’t seem to be doing). 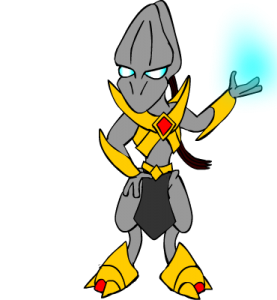 Which naturally blows, because Nack the Weasel/Fang the Sniper and all.